in: Categories: News and Publications. Tags: Brill ROLA, dialectology, dialetti italiani, and grammatiche. The volume Advances in Italian Dialectology. 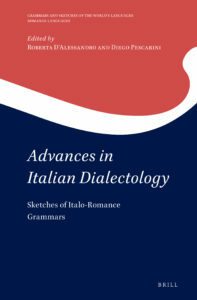 Sketches of Italo-Romance grammars, edited by Roberta D’Alessandro and Diego Pescarini, has just appeared with Brill. The description and TOC can be found here.